N9560 Laraydo Lane Merrillan, WI. | MLS# 1528417 | Clearview Realty in Hatfield Wisconsin. Helping Hunters, Families, and ATV'ers list or buy property for 15 years. Serving both Wisconsin & Minnesota. 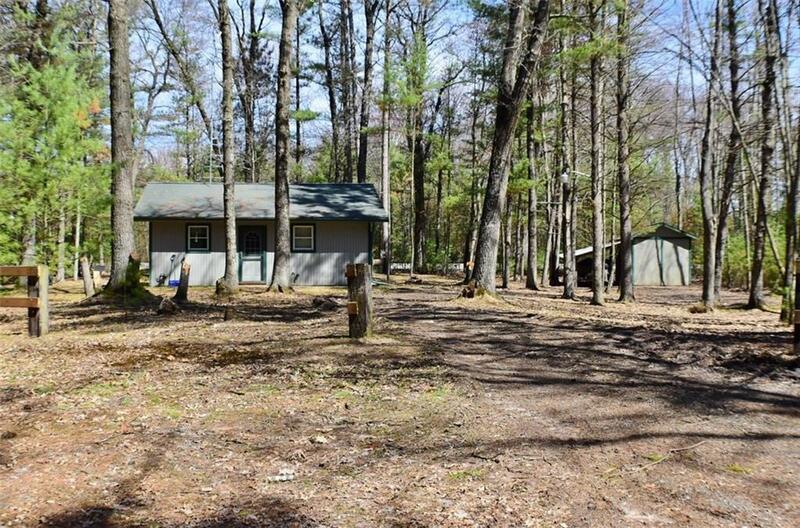 Very well kept, turn-key home that was built in 2000, on a little over half acre of nicely wooded land. Property has ATV access, is on a dead end road and located near all that the recreational area of Hatfield has to offer. Also the home has a brand new, LP wall furnace, in addition to an existing pellet stove and an electric heating/AC wall unit. There is a detached 16 X 10 garage w/lean-to. Most of the furniture can stay with the home (negotiable). Seller plans to add more gravel to the driveway as soon as possible. Property has deeded easement access.